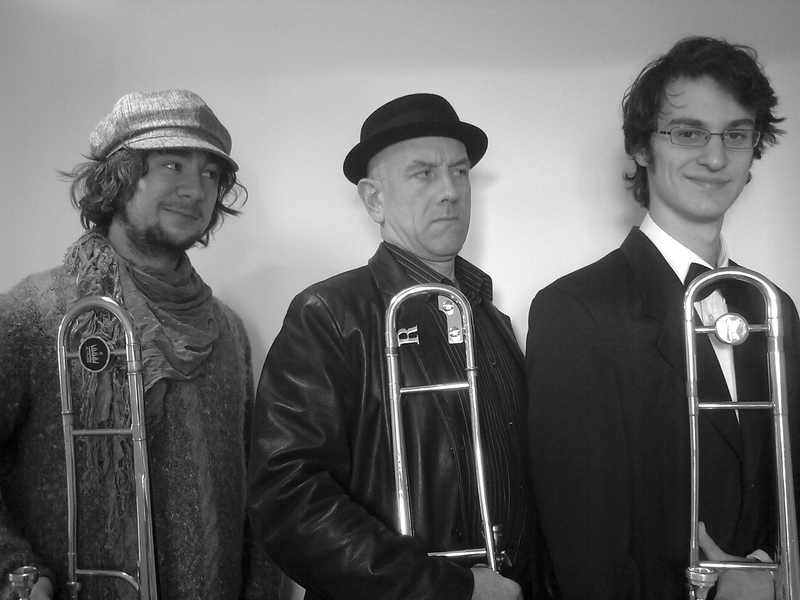 Founded in London in 1993, The Blowpipes Trombone Trio is where trombone poetry started. Poetry was included at many of the trio’s gigs, and a couple of poems were set to music on The Blowpipes’ album, Zenoria. The newly-relaunched band is now often resuming this role, acting as an occasional “house band” for trombone poetry. This improvising/composing trio plays traditional music, classical pieces, and all kinds of jazz. The Blowpipes are available for gigs, recordings, broadcasts, festivals, launches, lunches, weddings and funerals.